Vietnam is facing a few other serious infrastructural and/or environmental problems in need of immediate remedies - if any. We cannot discuss each subject matter in details due to limited space. We can regretfully admit that as in any other geo-physiological and geological problems, they were caused by prolonged abuses and cannot be undone overnight. Nature takes thousands of years to build, it takes men just a few years to destroy in their reckless pursuit of wealth and power... 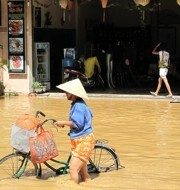 These problems poses greater challenges in Vietnam due to prolonged neglect, abuses on top of repetitive flooding. For the past 10 years, many residents and businesses have used every thinkable tricks on earth to build, cheat, destroy, burn, and take anything they can from nature. 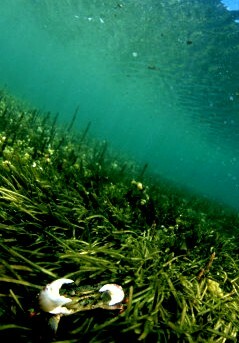 In most cases, they do not realize the consequences to the environment and nature. Some may not even care. The widespread dilemma is reaching an alarming level and that will take an enormous effort to rebuild. We are not experts in these areas but as professionals who care about the future of Vietnam, we will participate and support in any effort by the government and the people at least one step at a time. We will also take active part in education, planning and in the development of prevention and control equipments and materials to deal with these problems wherever and whenever we can. (From Vietnam Net) Researchers have warned of strong erosion on coastlines, rivers, mountains throughout Vietnam at different levels from 10 to 25M over just the past 10-15 years. 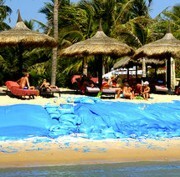 Vietnam’s coast is being eroded at different levels Phan Thiet coastal erosion reported at a speed of 10m per year. Vung Tau suffers the most erosion. Erosion may be attribute of both human and natural factors yet not much have been done to enforce, prevent erosion. 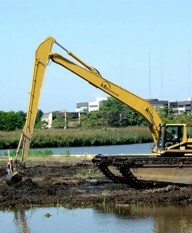 Without adequate immediate actions, erosion will threaten our economy and cause unspeakable loss of properties to many. We are not speaking of the already known rising sea level. 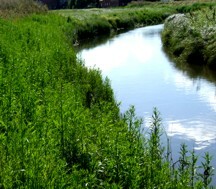 Populated areas surrounding water basins are facing a consequence of get-rich-quick urbanization and developments without corresponding infrastructural designs: Soil substructure river basins are sinking because of: (1) Compounding flood (2) Lacking of water escape plans (3) Collapsing underground water and in-ground soil movements. Other contributing causes are (4) Overflow of sewage (5) Illegal sand dredging by business;(6) Clogged water flows with overfilled garbage, sewage, riverbeds' erosion (from pollution)... Some houses in these affected areas will see sinking as a result and streets will be below river water level in less than 20 years. The accumulation of sodium salts, chemicals, and other disruptions of natural habitats by man using rivers, shorelines, basins for abusive agriculture is causing physiological threats to ecosystems. Salt prevents, limits normal metabolism, water, plants and soil biota causing cell plasmolysis. 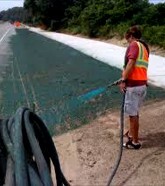 In addition, sodium salts can be both caustic and toxic to organic tissue, destroy soil quality, speed up erosion; In rivers and shorelines, using unsafe bio agents from China to speed up profits from shrimp/fish/salt farming will also weaken our soil, our ecology. 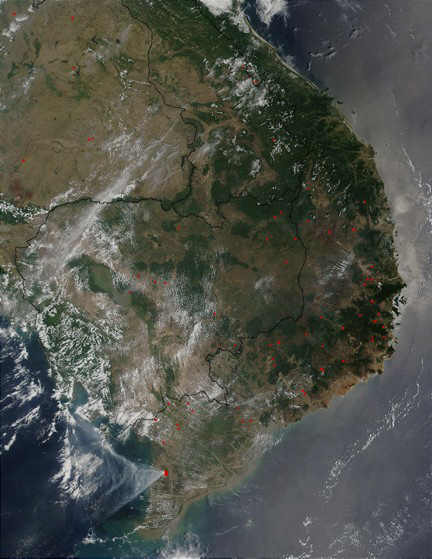 Satellite photos taken in 2001 thru 2003 showed constant and massive forest burning in Vietnam, Laos and Cambodia for illegal poaching of valued forestry or for other illegal farming in disregards of the problems such as landslide, flooding, and displacement of wild life. VINAREX will study plans to replant and reintroduce valuable forestry to Vietnam but also seek stronger enforcement by the government. To do so, we can develop and install sensors, monitors, cameras to deter criminals while re-planting forests and set up protective areas to preserve certain forests and wild life. 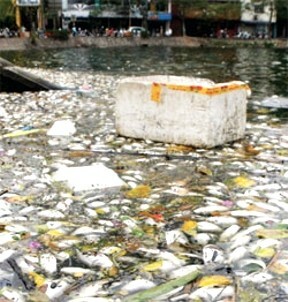 Aquaculture is great for Vietnam but greed, misinformation, and an endless quest for profit have led men to carry out any means including massive hormone stimulants, bio-chemical, growth stimulants, antibiotics, fertility drugs.... Rivers, oceans are dumping ground for wastes, diseases, dead fish - the same river used by industrial and business as dumping ground too. This type of fishery induces transmutations and genetic changes in other natural species that will lead to displacement nature and new diseases in the environment and in the human food supply. We need to treat nature with more respect. VINAREX will do what we can to introduce more natural, safe, scientific systems without biochemicals and fully tested feeds to protect human, animals and our fragile ecology. Agriculture, environment, ecology must be taken seriously. 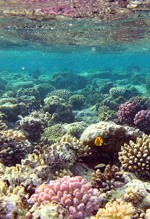 Nature's creation and resources must be respected and protected. Abuses will lead to serious ecological, environmental problems and these damages are hard to be recovered. VINAREX advocates scientific, economic cooperation with the government to study, plan and prepare to make short and long term plans for these problems so Vietnam will still be preserved for future generations years from now. If we do not do anything, they will be gone within 25 years. All improvements on the environment and nature cost much than a building we can create. So all damages man causes will cost just as much - if not more - to rebuild. Nature takes hundred thousands of years to form; human greed requires only a few years to destroy them. While these tasks are outside of our reach, we will continue to promote urgent plans to at least control what we can and where we can. 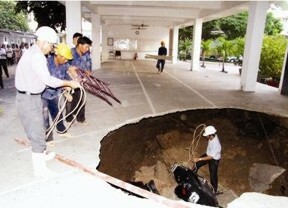 In Vietnam, man's irresponsible activities accounts for most problems. Climate change adds to the existing problem, not causing it. We must distinct the two issues even though they are connected. The earlier is controllable by improving our development philosophy and method. Public policy cannot be directed by a real estate development interests of a few richer men. From poverty and greed, Vietnam's forests became victims of many - rich and poor. Vinarex seeks to actively rebuild, replant, recreate Vietnam forestry with new resources but they must be protected by technology, enforcement and education. We promote more extensive aquaculture but must be engineered with technology to move away from abusing nature exclusively and with a total ban on the use of unknown, untested biochemical, hormone stimulants from China. Until we are capable of detecting their safety for humans, we must use cautions against them. 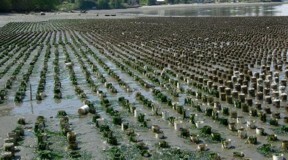 Aquaculture can be done safely, naturally and scientifically - yet still profitable. 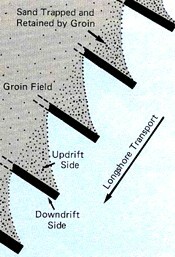 HOW DO WE DEAL WITH THESE ENVIRONMENTAL AND PHYSIO-GEOLOGICAL PROBLEMS? Space is limited here to discuss details but control and prevention measures are within our reach if we are serious in doing them. We will provide just an overview of remedies. Each remedy requires further description and discussions which are not suitable here in this forum. 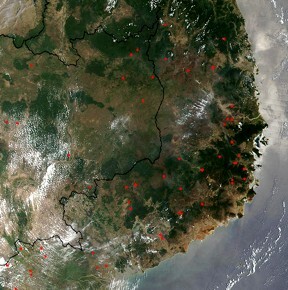 Erosions in Vietnam vary from regions to regions due to different weather and soil conditions. We also knew from our observations of the characters and changes in the geological symptoms that a significant percentage is caused by man-made developments and the lacking of planning in urbanization. Erosions are further complicated by the lacking of infrastructure work and the continuous buildings without much corresponding infrastructure plans and in-depth assessment of support structures for the soil. Erosion control can be studied with advanced GIS mapping, satellite imaging combined with other sensor and monitoring systems. However. 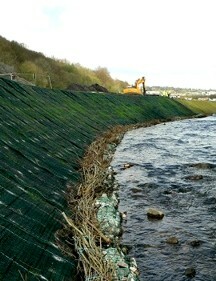 erosion control must start WHERE THE CAUSES BEGAN and not where these cause ended. These cause are mostly excessive developments by practically everybody from government servants, real estate speculators from Taiwan, Korea, Japan, China... If richer people don't feel a sense of urgency or responsibility, we cannot expect poorer people to care because they have neither the urgency nor the responsibility to live for in their poverty-ridden life. 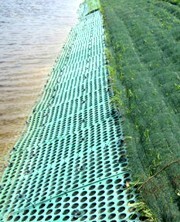 Sinking land mass and overflowed water are caused by nature, by excessive building developments and human activities. Climate change adds to the existing problem. While we cannot undo the past but must be careful in the future because some damages may not be recoverable. It is not just naturally caused higher sea level, it is also man-made LAND SINKING in Vietnam. 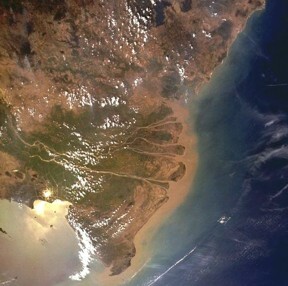 Land sinking has been known for many years in river basins around the World from Bangladesh, Thailand, Shanghai, Italy, Africa to the Mississippi. However, none has the same compounding problems as in Vietnam. 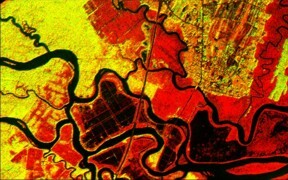 Scientists agree that in certain low river basins such as HCM city, Vung Tau, and the Delta, the land is sinking at densely populated area as a result of sediment compaction, empty ground waters (used up by people), soil degradation underground, sediments and river flow problems, flood water with no ways to flow due to bad infrastructure, escape routes plugged up by houses, plugged sewage (due to heavy housing development and no planning) etc. This sinking may be even faster and more damaging than rising sea level. 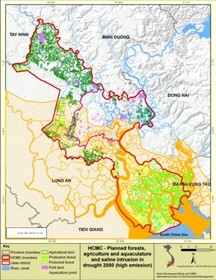 Both Dong Nai and Mekong River basins are vulnerable to flooding at populated areas. We recently have observed the conditions of the areas of Q7, Thanh Da, Binh Quoi of tp HCM etc., houses are now BELOW normal river level and flooding is daily just by raining alone. Soil conditions are also weak due to no conservation efforts and continuous heavy pollutions by people, businesses and industries wherever they want and whenever they want. 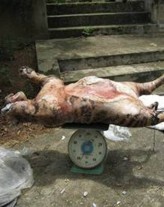 Further, the way houses are built in VN cities, it is very treacherous to lift... If this situation continues, the remedies are uncertain as options are limited. 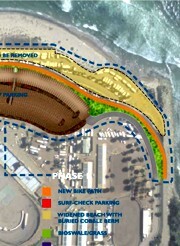 Shoreline protection and planning have not been seriously considered as damages are not often seen except the developments and money being made. 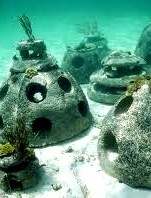 For the past 10 years, taking full advantage of development policy of local governments, foreign businesses have pushed developments that never include any stabilization and protection of shorelines by continued to create activities close to water lines for more revenues. We now have to pay for the rebuilding process. However, if we make an effort and know how to engineer, fabricate products using locally available materials, we can slowly rebuild inexpensively using our available labor. 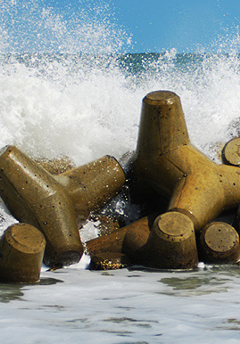 VINAREX will participate in the design and fabrication of erosion and beautification projects with local governments so the people can enjoy what is left of our beaches. From poverty and greed, Vietnam's forests became victims of the rich and poor. 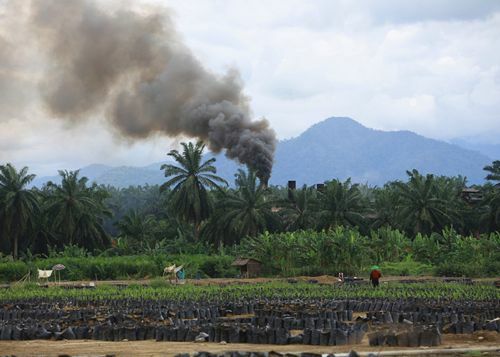 Vinarex seeks to rebuild, replant, recreate Vietnam forestry with new resources but they must be protected by technology, enforcement and education. When overseas importers and businesses learned of the deep forests in Vietnam, the first thing they did was to bribe Vietnamese to clear, burn, chop, steal and smuggle to them for money. Many persons did just that to get rich. Forestry should be viewed as an important function of the entire life cycle for other plants, animals and people. By better planning, better education and by wisely prepare our land resources, we can rebuild more than enough valuable wood to sell yet must also protect the important ecological needs of nature, wildlife and society. VINAREX will advocate intelligent planning and reforestation. Knowing what and where to plant, we can make much better use of our forestry resources and provide great alternatives for those who want to make an honest living. This subject matter is complex and cannot be discussed within this site. 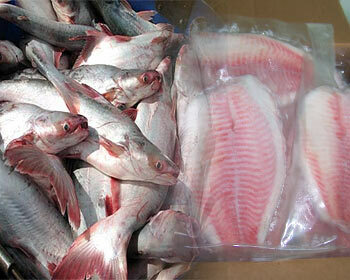 We will devote another website in the near future solely for the subject of aquaculture in Vietnam. Within the limited space of this chapter, we will summarize only the key issues or problem areas in aquaculture for discussion. Our point is: We can meet the same profit ends without using any Chinese made bio agents and hormone stimulants and at the same time, we must respect nature and process the tons of wastes instead of dumping them all into the rivers and ocean. 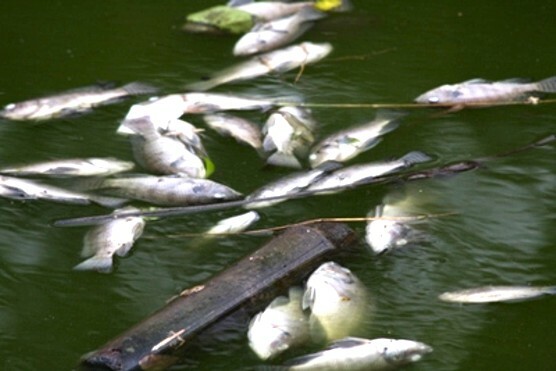 Aquaculture wastes in our current practices, contains harmful toxins and pathogens that are dangerous for other species and for the health of both the rivers and the people . The use of growth hormone, bio agents, all kinds of antibiotics lead to unknown physiological and health issues in fish and humans. The above examples illustrate the principle, character and direction of our social and environmental philosophy. We will work to bring economic prosperity for the poor of Vietnam but must do so in respect of nature, of our natural resources, of the social responsibility we owe to the country and the people of Vietnam. © 2010 VINAREX ORGANIZATION. All Rights Reserved. VINAREX is a Non-Profit Professional Organization not affiliated with any governments, operated with the assistance, contribution and other scientific and technical supports of international agencies and government bodies of other Nations.